Where many smart phone games offer all the complexity of an Atari 2600 release, Plague Inc. is something different. Indeed, calling Ndemic Creations’ freshman title a “game” may be an injustice. Plague Inc. is very much a strategic simulation. The player’s goal is simple: exterminate every human life on the Earth through manipulating the DNA of a plague. As a veteran of Defcon, an understated PC game where players score points through delivering atomic death to millions of people, I thought I knew what it took to visit suffering upon the world. Yet in my first play through of Plague Inc, I only managed to wipe out a paltry three and a half billion people. Realistically, killing half the Earth’s population over the course over two years would probably be enough to destroy civilization as we know it. Yet Plague Inc. demands nothing less than perfection in the form of complete human genocide. Evolving a bacteria/virus/prion from localised infection to wholesale pandemic may sound complicated, but Plague Inc. makes the dreams of lunatic scientists and bio-terrorists alike complete child’s play. Much of the simulation unfolds over a two dimensional map of the world. From there players pick a country/region to deploy patient zero. I generally like to start with China or India, but I’ve come close to winning with an outbreak originating in the United States. As the simulation moves forward, a few quick time events will allow players an opportunity to score additional DNA points, which they will then use to evolve their super bug. Herein, Plauge Inc becomes a game of resource management. Do you tailor your creation to endure harsh climates and antibiotics? What vector(s) for infection will you use? And most important of all, how will you make humanity suffer? With the symptoms built as a sprawling and interconnected tech tree, the game allows for some pretty colourful misery. At one point I had a water borne bacteria, whose symptoms included vomiting and dysentery, ravaging the world. Plague Inc. then informed me I had unlocked an explosive projectile vomiting/voiding perk, which further increased the infectivity of my monster. Naturally the nations of the world work against the player to defend humanity. Granted, it’s relatively easy to infect countless millions while staying under the World Health Organization’s radar. However, once an outbreak becomes “scary” by mutating too quickly or developing too many new vectors, the simulation reacts more aggressively. Players can try to stymie the AI’s race to a cure, but every shred of DNA spent on forestalling a vaccine takes away from the bug’s ability to infect and kill. From start to finish, an entire simulation lasts about half an hour, which when it comes to destroying humanity is a perfect time investment. 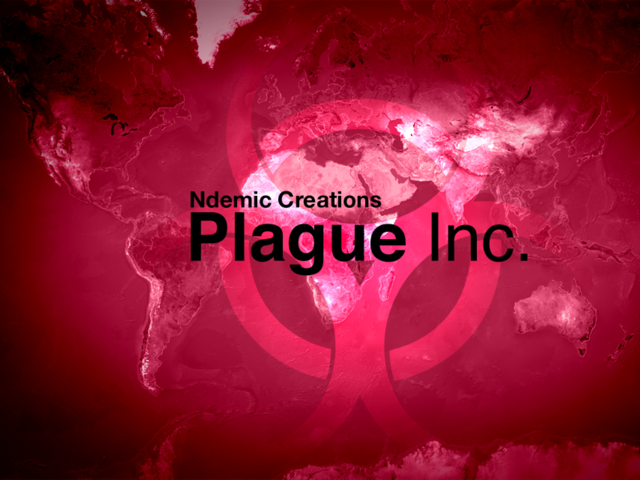 Every successful genocide unlocks a new plague type as well as various mutations for patient zero. And yes, the developers have hinted at a zombie apocalypse virus in a future update. While Plague Inc. does allow for some in-app purchases, a concept I hate on principle, these buys are limited to immediately unlocking things which can be obtained through winning. Moreover, these are all one-time purchases, not opportunities for the company to generate infinite income a la Zynga. In the end Plague Inc. is a perfect example of what mobile gaming is capable of doing when it positions itself outside of the box. It’s part (semi) scientific simulation as well as a thoughtful resource management game. Though the goal always remains the same, there’s enough variety built into the core mechanics as to afford it an exceptional replay value. I will say the entire experience requires a greater than average amount of cognitive dissonance as to make wiping out humanity a recreational activity. In my weaker moments, I actually felt sorry for the planet as the death count ticked past three billion, and the nations of the world fell into anarchy. Priced at 99 cents, there is no reason not to pick up Plague Inc..
Plague Inc. is developed by Ndemic Creations. It is currently available on iTunes and Google Play for Apple and Android devices.